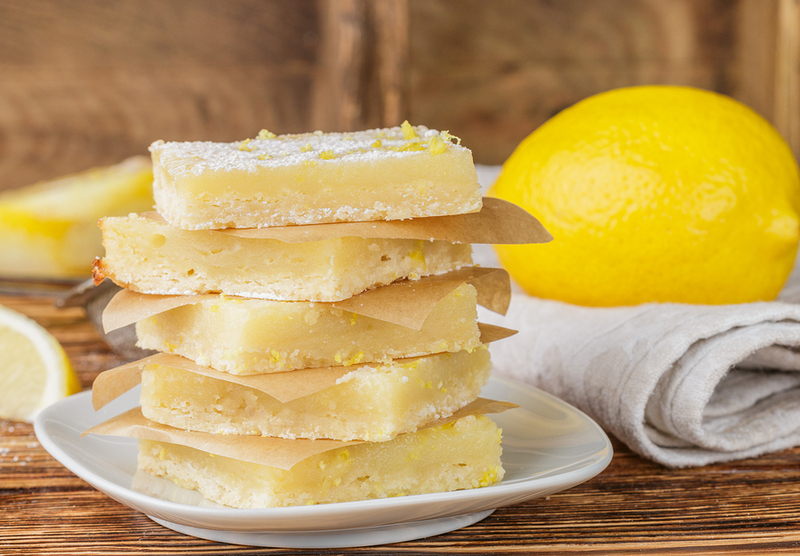 Discovered today as Cinnamah-Brosia’s “Daily Delight” recipes from The Essence of Humility have been added to the blog for your convenience, lemon is found in several of them. This entry is no different. In fact, it is one of the most traditional American dessert recipes — almost as All-American as Mom and Applie Pie. 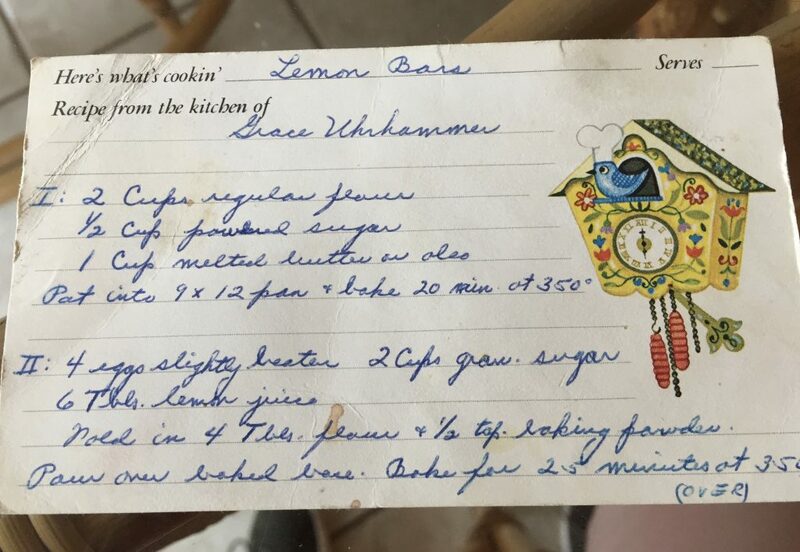 Speaking of Mom, here’s my Mom’s recipe for lemon bars — in her own handwriting. I’ve typed it out below for those challenged to decipher her script. Pour filling mixture over baked base. Bake for 25 minutes at 350 degrees. While still warm, sprinkle with powdered sugar. 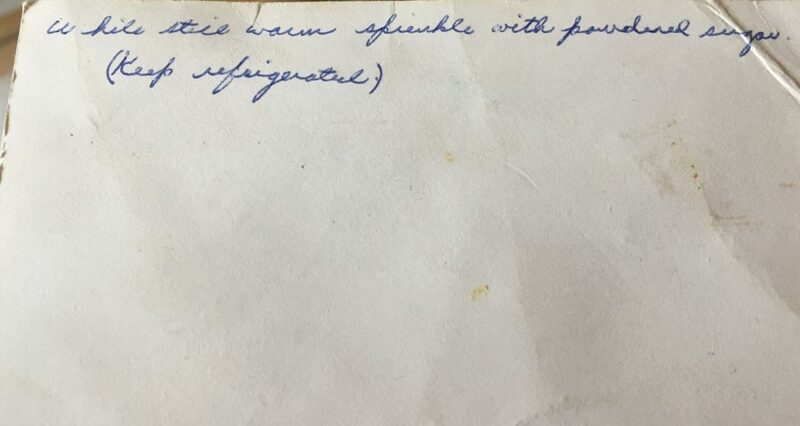 (Keep refrigerated).